I’ve been in a very hands-on mood lately. I want to get my hands dirty and make things. So I’ve been baking. 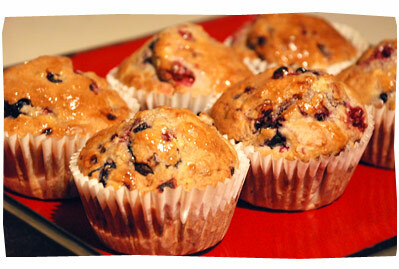 Or rather, I’ve been experimenting with baking and making up my own muffin recipes. Mix juice and enough icing sugar to make a watery icing for glazing. About 1 teaspoon of glaze for each muffin.